In white marble rises the majestic building over the cathedral square. In 108 meters height the golden Madonnina flickers in the sun. The symbol of Milan is visible from afar. Uniquely are the roof terraces of marble, on which you can walk and has a superior panoramic view over Milan until the Swiss Alps. 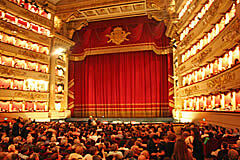 An opera at La Scala is the dream of many opera lovers. 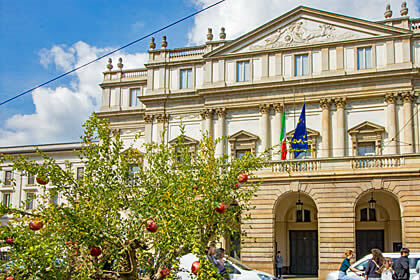 The opera season at the La Scala opens every year on the 7th December, the holiday of the patron of Sant'Ambrogio. Enjoy a opera or ballet with the best soloists in the world. The most famous masterpiece of the Last Supper ha been created Leonardo da Vinci in the refectory of the Dominican convent of the Santa Maria delle Grazie church. 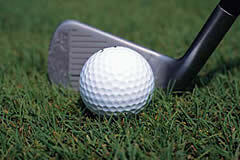 It is necessary to book a guided tour in advance. The Last Supper is always fully booked, there are no tickets at the ticket office avalilable! The Gallery Vittorio Emanuele II has been built in 1877 as a covered connection between Piazza del Duomo and Piazza della Scala. 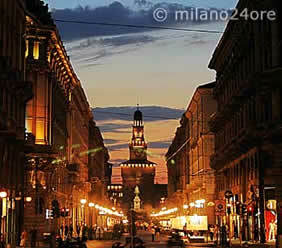 It is the salon of Milan with luxury shops and restaurants. The central cross with beautiful floor mosaics became the "living room of Milan". In the center of the gallery is the octagonal room "Ottagono". Surrounded by coffee bars it is a meeting place and a venue for small artistic performances. In the 14th Century the mighty defense castle was built by Galeazzo II Visconti. Leonardo da Vinci worked for the Duke Ludovico il Moro and was responsible for the cultural life and the arts at the court. Today museums are housed in the Castello Sforzesco. Among the masterpieces are the Rondanini Pietà by Michelangelo and the Sala delle Asse by Leonardo da Vinci. 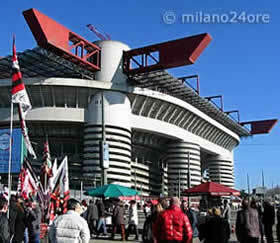 The traditional temple of football, the San Siro Stadium, the two internationally successful football teams Inter Milan and AC Milan play in a spectacular atmosphere for the championship of the Premier League Italy's Serie A and Champions League. 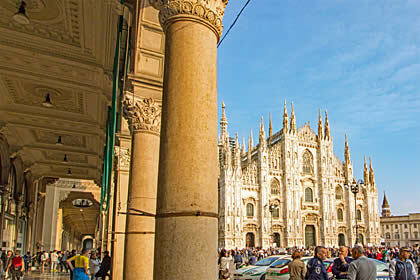 You will find individual walking tours of Milano with the main attractions. Discover the ancient Milan of the Roman period, the most beautiful churches, the fashion district, the culinary highlights and the districts where something is going on at night. 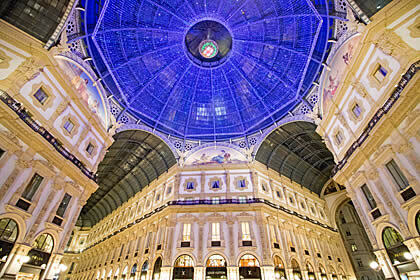 Discover Milan's must-see attractions with a guided group tour. 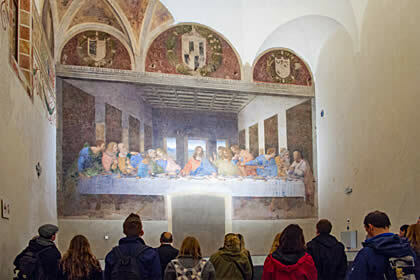 Enjoy a pleasant walking or bus tour including the guaranteed visit of Leonardo da Vinci’s famous painting 'The Last Supper', the impressive Duomo and tour the breathtaking Galleria Vittorio Emanuele II. And the La Scala Opera House. Explore scenic Italian Lakes: Lake Como, Lake Garda and Maggiore Lake. Admire the scenic Cinque Terre at the breathtaking Liguria Coast or the Italian Riviera with Genoa and Portofino. Visit beautiful towns of Verona, Venice or Bergamo. Explore mountains by rail tour from Milan aboard the Bernina Express to St. Moritz in the Swiss Alps or a Dolomites Day Trip to Renon Plateau and Bolzano. Italian fashion and the names of their designers are known far beyond the country's borders. 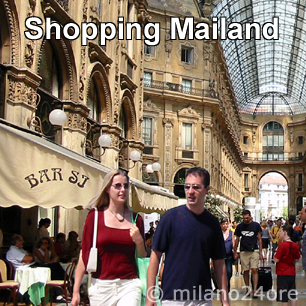 Milan is a paradise for a shopping holiday. The most expensive shopping streets can be found in the fashion district around Via Montenapoleone. Who wants to see VIP's and Models up close, visit the designer boutiques and designer bars. Find tips about shopping streets for young fashion, affordable shopping on weekly and antique markets and we invented tours to the hidden designer outlet stores for you. 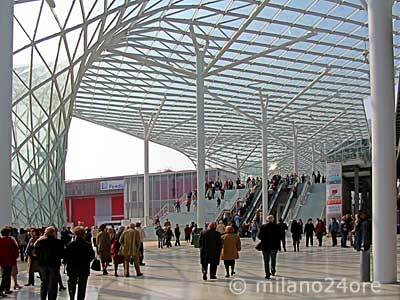 The new exhibition center on the outskirts of Milan "Fiera Milano Rho" has direct access to the motorway and is easily accessible by metro red line. 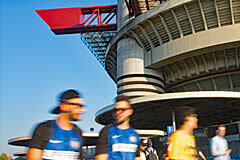 Both Venues (Fiera Milano and Fiera Milano City) are in operation. The fairground is one of the largest worldwide with over 2 million square feet of exhibition space. The exhibition calendar shows you on which venue the trades take place. Artists' studios, original shops, traditional pubs, flea markets, and summer concerts make the area the Naviglio Grande and Corso di Porta Ticinese with the Colonne di San Lorenzo a unique venue and popular meeting place. Rustic pizzerias and small trattorias offer typical dishes of Milan and Mediterranean cuisine. Shuttle bus and train for arrival by plane from the airports of Malpensa, Linate and Bergamo Orio al Serio. Underground Milan, the lines of the metropolitana. Monza is located a few kilometers north of Milano. Every year in September, the Formula1 Grand Prix of Italy takes place in the Parco of Monza. The circuit can be visited all year. The Milan Travel Guide presents the most beautiful attractions in Milan, current events, venues and disco bars, events at the Opera House "Teatro Alla Scala" and the Giuseppe Meazza San Siro Stadium, suggestions for stroll and shopping tips, gift ideas, short trips, as well as insider tips. Milan offers a large selection of hotels in all price categories, from luxury to budget hotels, apartments and bed and breakfast sorted by districts. Because of the numerous fairs (Fiera Milano), accommodation is early fully booked. Choose your hotel based on the reviews of our guests and check real time availability.